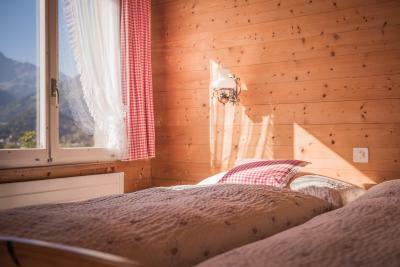 Lock in a great price for Gasthof Schönegg B&B – rated 8.5 by recent guests! 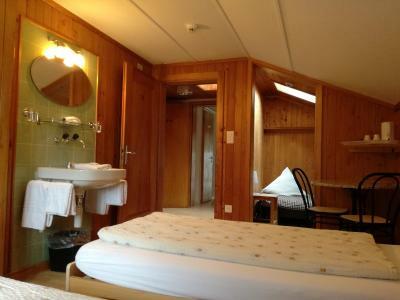 I arrived there at mid night, it was bad experience as the location given on the booking.com is incorrect. I spent around 90 minutes to find the location. The responsible person of the apartment was not helpful, I asked her to share the location over the WhatsApp but she said she is not over the apartment. When I found the apartment even the instruction with a key kept on the box was wrong. The way to the room was from outside but she mentioned I have to go inside the from inside I will find the room on the right side. The room was good but location given on booking.com make my crazy in the mid of night. View from Bedroom was very beautiful and romantic. My parents and I stayed here for 3 nights in September of 2018. 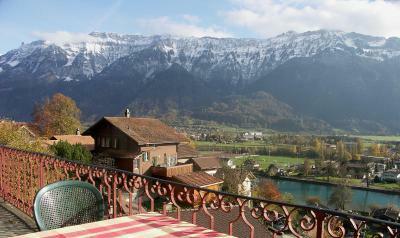 We had a large room that overlooked the Aare River. It had a large bed for 2 people plus a twin sized bed for a 3rd person. I thought the twin bed was a little hard for my liking, but I usually prefer softer beds. My parents found their bed very comfortable. The shower in the bathroom was a little small, but had great water pressure. 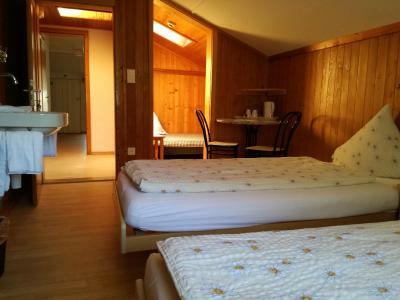 It overall was a very comfortable room, and we enjoyed staying there. The breakfast was decent and the view from the outdoor seating was fantastic. 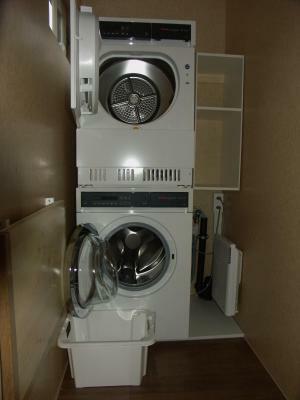 We also did laundry while we stayed here and the washer and dryer did a good job. The staff was very nice and helpful too! We would absolutely stay here again and highly recommend it! 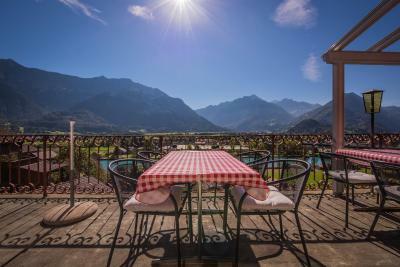 We love the scenery, friendly and helpful staff, clean room, facilities, and of course we will recommend this hotel to others who wish to visit Switzerland. 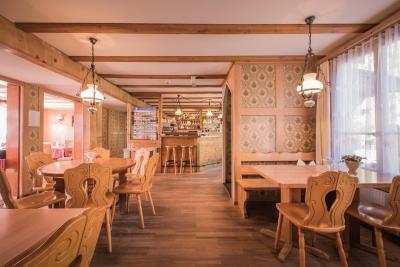 The staff, service, cleanliness of the room and view from the breakfast area. The person at the desk was extremely helpful. Esther helped us with bus routes and had great suggestions in other areas as well. She gets 5 stars. 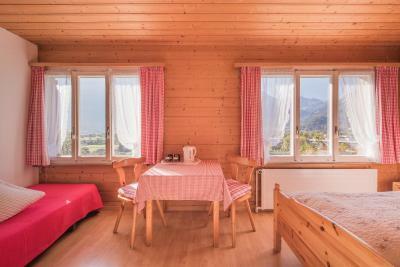 Gasthof Schönegg B&B This rating is a reflection of how the property compares to the industry standard when it comes to price, facilities and services available. It's based on a self-evaluation by the property. Use this rating to help choose your stay! 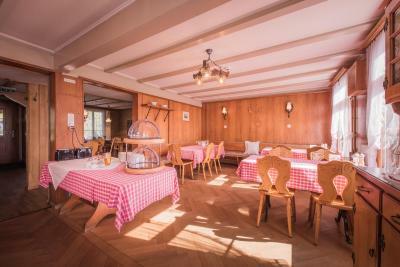 The Gasthof Schönegg in Goldswil is a traditional Swiss Chalet Hotel with rustic-style rooms and a large terrace with panoramic views. Free Wi-Fi is available in all rooms. 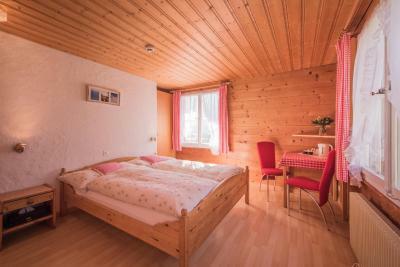 All guest room at the Schönegg guesthouse feature typical Alpine-style furniture. The Gasthof Schönegg is a convenient base for skiing and hiking in the Jungfrau region and the region around Lake Brienz. 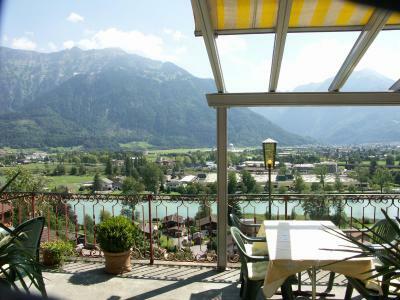 Upon arrival you will get the Interlaken Card entitling to free use of public transportation within Interlaken and the surroundings and to several discounts. 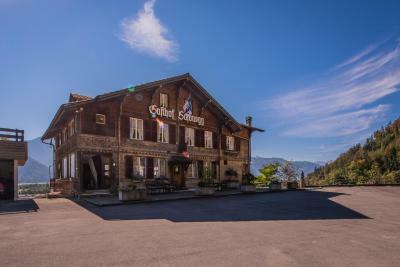 This property is also rated for the best value in Goldswil! Guests are getting more for their money when compared to other properties in this city. 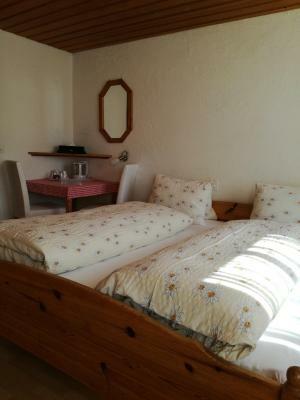 When would you like to stay at Gasthof Schönegg B&B? 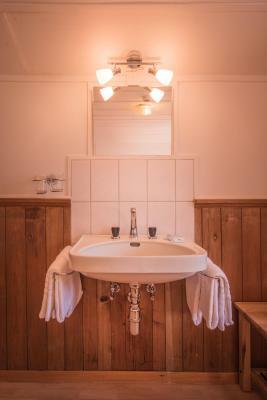 The room with wood paneled ceiling features a seating area and a private bathroom with a shower. 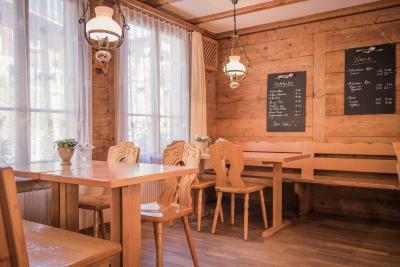 This rustic Alpine style room features a seating area, a private bathroom with a shower and free WiFi. 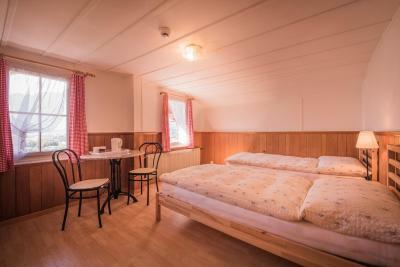 The room with traditional wooden furnishings features a sink and free WiFi. 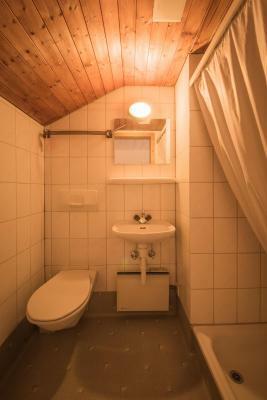 The shared bathroom is located on the hall. 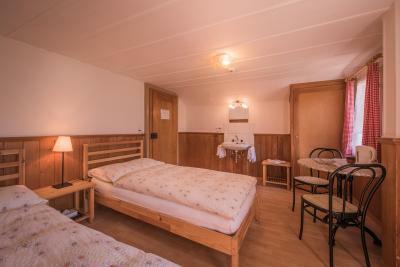 This single room has a electric kettle and seating area. 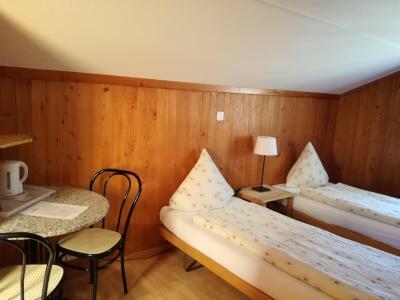 This triple room features a seating area and electric kettle. 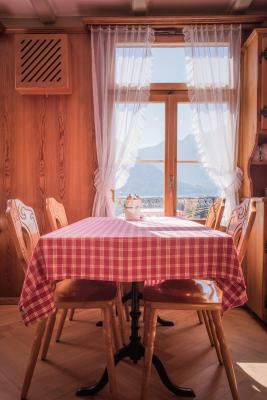 House Rules Gasthof Schönegg B&B takes special requests – add in the next step! 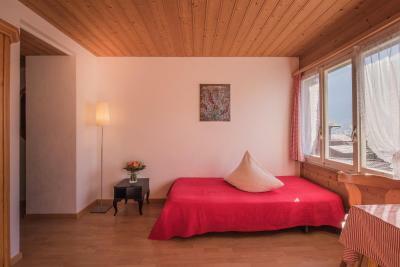 Gasthof Schönegg B&amp;B accepts these cards and reserves the right to temporarily hold an amount prior to arrival. 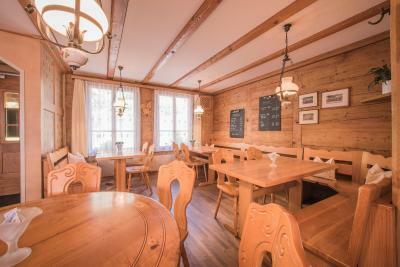 Gasthof Schönegg B&B accepts these cards and reserves the right to temporarily hold an amount prior to arrival. Please inform the hotel in advance if you will be arriving with children. Children will be subject to an extra charge. Please note that the front desk is not staffed throughout during low season, but there is a sign at the door with a phone number and an emergency bell to ring for check-in. Late check-in is only possible upon prior confirmation by the property and needs to be requested at least 24 hours in advance. Contact details are stated in the booking confirmation. That it was totally non smoking rooms. Google map does not take you to correct location. No supermarket or restaurant nearby. 50 meters from nearest bus stop. Lovely view. Good breakfast. Spacious rooms. Hostess was friendly and helpfull. 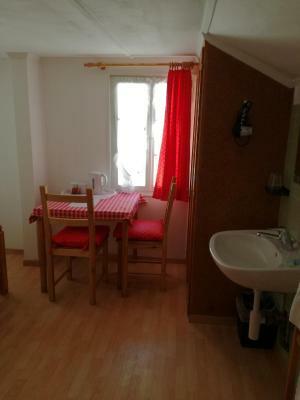 Fridge, microwave and washing machine available for guests. Esther and the whole staff of Gasthof Schönegg is amazing. Me and wife were brilliantly happy and satisfied with the level of service the property provided. 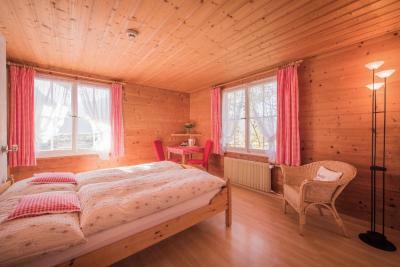 Quiet, clean, comfortable and affordable. We would definitely be back. Would highly recommend. The staff are friendly n very helpful. The breakfast is good. Cosy home feel. Milk was unavailable to make basic tea n coffee. Booking.com should probably make it more clear on prices with breakfast n without breakfast. We assumed it was with breakfast.. Location is amazing. Esther was quick to respond right from d beginning and allocated us a good room .. Cleanliness !! 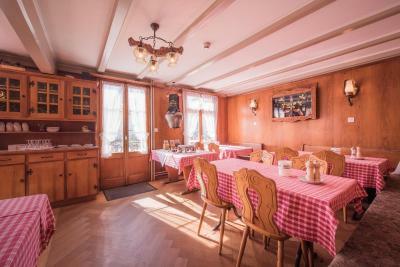 The scenery was perfect and the location aswell.. the roomservice was very good and i love the stay in gasthof Schönegg!!! Coming again! 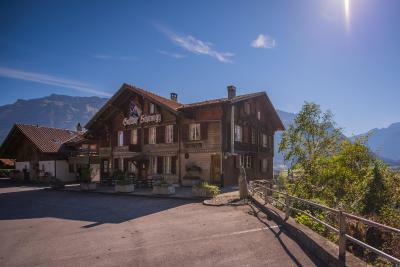 lovely guesthouse located at the beautiful place at goldswill. WE got a room with a good view and enjoy so much there. 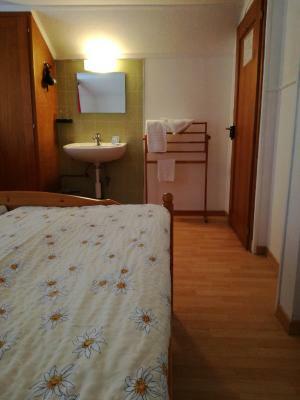 Poor facilities: no breakfast during winter season; no TV set, no hairdryer in the room. Given that, the room fare is rather high - also had to be paid in advance! Friendly staff, convenient location, nice outside view from the room. 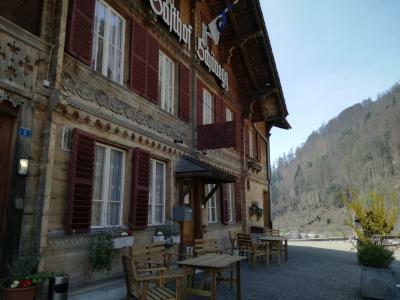 Everything was amazing except the navigation to the hotel; we went to the wrong location in Niederried bei Interlaken by following the navigation provided by google. Really appreciated everything there. Staff is very nice and responsive all the time! 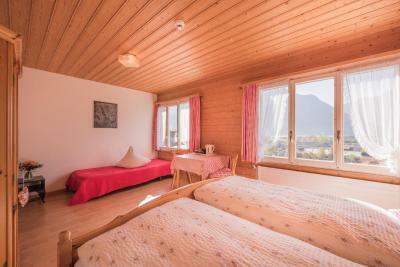 We got a lovely triple-room with the gorgeous view to the mountains. Highly recommended! It was all good, nothing to complaint. From Interlakan OST, took 102 bus going towards route Ringgenburg. The hotel is just 2 stops away. Cannot walk, néed to take bus, which is must. 4 minutes. 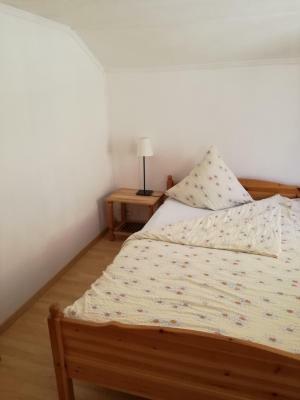 The property is well maintained and value for money. 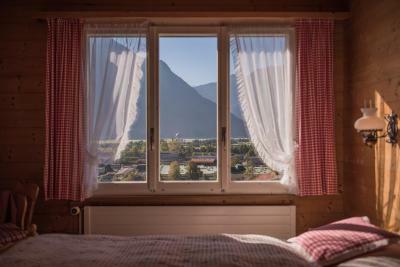 The room window over looking mountains is awesome. You can make coffee/ Tea in room with a kettle provided. Tea and coffee sachets can be collected from ground floor. There is also a super market 50 meter away near bus stop. 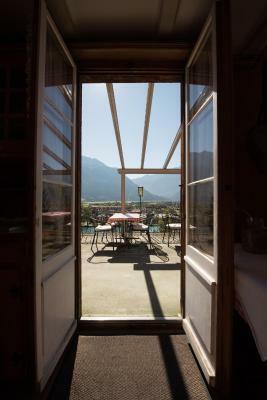 Over all a wonderful experience, value for money for the property, location in Switzerland.